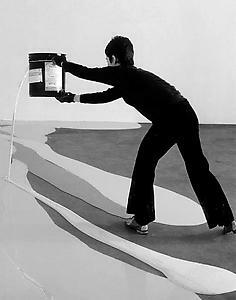 Lynda Benglis (born 1941, Lake Charles, Louisiana) was first recognized in the late sixties with her poured latex and foam works. Benglis’s work created a perfectly timed retort to the male dominated fusion of painting and sculpture with the advent of Process Art and Minimalism. Known for her exploration of metaphorical and biomorphic shapes, she is deeply concerned with the physicality of form and how it affects the viewer, using a wide range of materials to render dynamic impressions of mass and surface: soft becomes hard, hard becomes soft and gestures are frozen. Lynda Benglis resides in New York, Santa Fe and Ahmedabad, India. She is the recipient of a Guggenheim Fellowship and two National Endowment for the Arts grants, among other commendations. 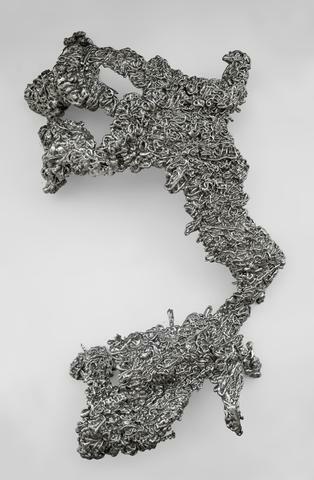 Benglis’s work is in extensive public collections including: Guggenheim Museum; Los Angeles County Museum of Art; Museum of Modern Art, New York; The National Gallery of Victoria, Melbourne, Australia; San Francisco Museum of Modern Art; Tate Modern, London; Walker Art Center, Minneapolis and the Whitney Museum of American Art, New York.